MICRONITE devotes itself to creating a comprehensive range of machining-specific software suites and components of exceptional value. MICRONITE’s continued commitment to innovation, quality, and service, has successfully built trust with MICRONITE’s customers. Unlike any type of statistical and SPC software, engineering competence of MICRONITE becomes a primary reason for its emergence as the prime control system used by highly competitive machine shops. The challenge of MICRONITE’s software development for the control of machining operations has to do with satisfying multiple objectives simultaneously. Many of these areas should be optimized in machine shops – efficient inspection scheduling, prevention of quality-related slowdowns and elimination of scrap, effective process engineering, maximum equipment efficiency, etc. Quality and throughput objectives are often in conflict with each other. 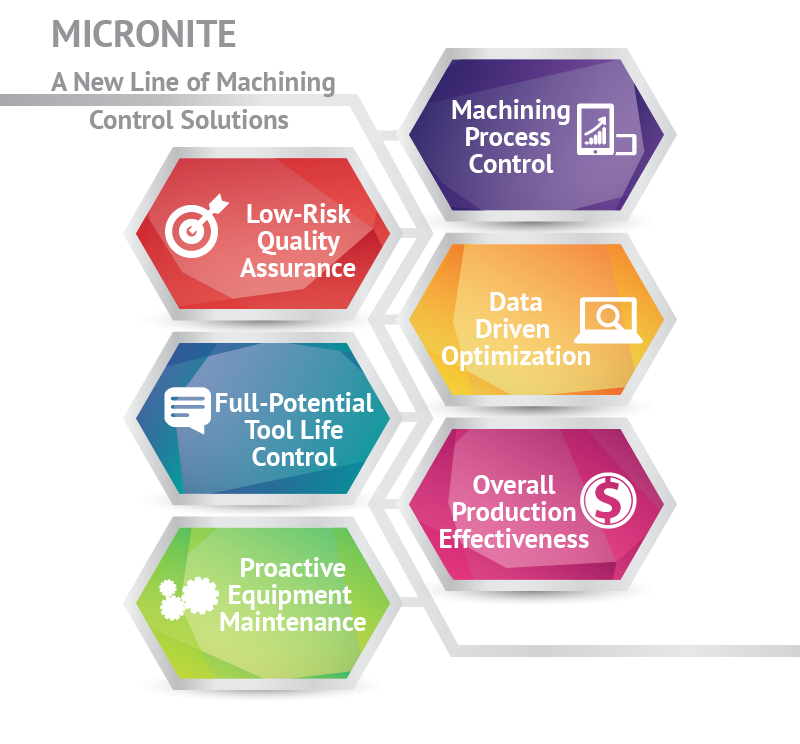 MICRONITE’s solution for contradictions between quality and production can be found in overall integration of machining analytics and in an automatic decision making process, provided by the AI-based system. Essentially, MICRONITE transforms all shopfloor data into a realistic and complete solution guides which are presented in useful formats to operators, engineers, and managers. Custom-tailored assessment and representation of production and process control history and O.E.E.